With PNC presents Wide Open Bluegrass this weekend in Raleigh, N.C., the excitement has come (despite the weather! ), so gather friends and take in the festival fun, including "can&apos;t-miss" dining. After all, nothing pairs better with good music than good food and good times. 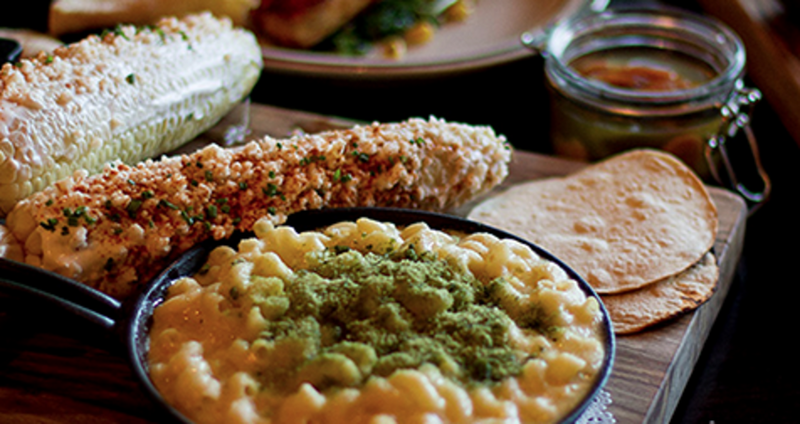 To round out your festival experience, check out some of these “can’t-miss” food favorites. If you want the true N.C. experience, then BBQ is calling your name! Check out the Whole Hog Barbecue Championship and delight in the decadent N.C.-style barbecue battle, which will determine the pork barbecue cooking champion. The cook-off will begin on the evening of Oct. 2 and end on Oct. 3, when pork sandwiches will be sold just in time for lunch. Also, take in the N.C. Barbecue Experience dinners, Fri. and Sat. night in Raleigh Convention Center Ballroom B. Get lots of tasty food and treats in the Raleigh Convention Center in Ballroom B. You&apos;ll get to taste some delicious local food. Located next to the PNC Front Porch on the ground level, try Raleigh area beers at the Beer Garden. See full vendor list. For those who want to explore downtown Raleigh and fuel up, check out the places below. With the weather forecast, you may have to take an umbrella on your walk. Most importantly, if there&apos;s threatening weather, stay safe. Try Linus and Pepper’s, the pop-up sandwich shop that was so popular it became a permanent establishment. Located in the basement of Raleigh bar, The Level Up, this sandwich shop epitomizes eating local by featuring food from lucettegrace, Yellow Dog Bread Company and Raleigh City Farm, among others. Pair sandwiches like the Island Shrimp Salad or Pimento Cheese BLT with the 3 Bean Salad or Grilled Peach Salad and you’ve got yourself a hearty, healthy lunch. This family-owned restaurant marries their family’s Mexican heritage with iconic Southern cuisine, and with dishes like Chicharron and Waffles and Collard-Wrapped Tamales, you’re in for an explosion of flavors. Jose and Sons is open for brunch, lunch and dinner, so there’s ample opportunity to indulge. Owned by James Beard Foundation Award-winning chef Ashley Christensen, Joule is a great choice at any time of the day. Enjoy breakfast, lunch or dinner, and sip on house blended chai or drip coffee brewed from single origin beans. Or if coffee’s not your thing, visit Joule in the evening to enjoy the seasonal craft cocktails. Try Tasty 8’s, a restaurant featuring made-to-order gourmet hot dogs. Let options like the Southern Comfort (certified Angus beef, all-natural hot dog, blue cheese slaw, Carolina chili, red onion, scallions) and Chicky Chicky Bánh Mì (continental chicken apple sausage, bánh mì mayo, cucumbers, pickled carrots, jalapeños, cilantro) tickle your taste buds. Even vegetarians can delight in a good ol’ dog as vegetarian sausage is available for substitution. Grab a hot dog, sweet potato fries and even a cold beer. Arguably one of downtown Raleigh’s most popular joints, Chuck’s crafts more than just an exceptional burger. Yes, you can enjoy flavorful burgers such as The High and Valley (crushed avocado, bacon-onion jam, blistered red peppers) and Spirit Animal (cream cheese, roasted poblano chilis, grilled tomatoes, tortilla dust), but the other sandwiches like the veggie burger, shrimp burger or buttermilk-fried chicken make a name for themselves as well. Share a plate of hand-cut fries with a variety of dipping sauces, enjoy a milkshake and you’re officially in paradise—at least, according to Jimmy Buffett.